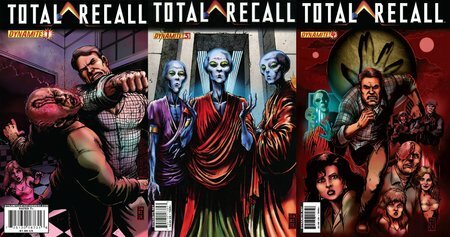 Inspired by the hit 1990 science fiction movie, Total Recall! Read the story of what happens next! Having killed Cohaagen and given Mars an atmosphere, Douglas Quaid (the man who was Hauser) simply wants to live out the remainder of his life with the woman of his dreams, Melina. But, how can Quaid have his happily ever after with Mars in chaos, new enemies coming to the red planet, and a mysterious stranger walking about? This volume collects the four-issue series, featuring a complete cover gallery (covers by Darick Robertson) and more.